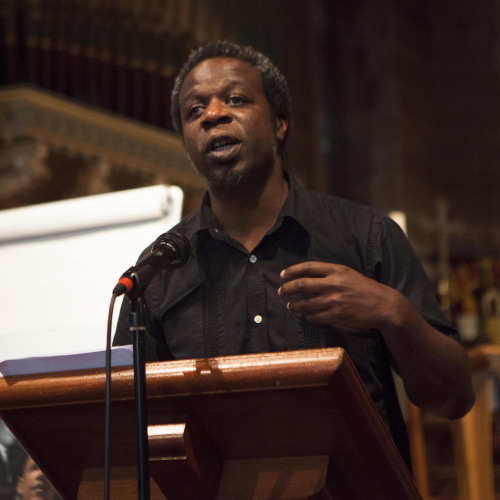 Ian’s career in the arts began in 1994 as a founder member of Black Pyramid Film and Video, Bristol, which provided training in film production, as well as producing films and hosting an annual film festival in partnership withWatershed. He has since worked for several arts and cultural institutions, including The Drum Arts Centre (Birmingham), New Art Exchange (Nottingham) where he has continued to programme films and moving image. In a freelance capacity he is an associate producer at Vivid Projects, who are dedicated to exploring the convergence of film, video, performance and interdisciplinary practice. Recent projects include Free School and Fear of a Black Space. Other projects include, conducting creative conversations in preparation for artist Yara El Sherbini’s exhibition The Current Situation, at Wolverhampton Art Gallery and Development Producer of Mission to the Land of Misplaced Memories, a showcase of futuristic live sound art installation. Ian is currently a Director of Ort Gallery, an artist-led gallery space in Birmingham and Honorary Research Associate of the Department of Digital Humanities, University of Birmingham.